Kara Hui headlines another action flick with Mrs K, the star of My Young Auntie and The Inspector Wears Skirts series returns to her action roots for what is rumored to be her farewell film performance. A delivery boy brings an oversized basket filled with food to a large house in a gated community. Inside, the homemaker (Kara Hui) is bringing out a fresh batch of buns from the oven. But the delivery boy brandishes a gun, while his partner starts rummaging through the house, demanding the valuables. The housewife smiles, grabs the gun and starts smacking the delivery boy, and shooting his accomplice in the crotch with the pellet gun. She admonishes them for being so sloppy and not even having a real gun, while the delivery boy lets loose that his pregnant girlfriend is at her husband’s doctor’s office. She lets them go with a warning (and a taste of her cooking), but the accomplice isn’t done yet and makes plans to return with a weapon. But she’s already called security on them, and watches from the video feed as the guards beat and arrest them. Mrs. K isn’t your typical housewife. She has a rich husband (Wu Bai), a daughter (Li Xuan Siow), and looks the part, but she has a past with a lot of shade, and that’s going to catch up with her real soon. But from the introductory sequence we know she’s not someone to be taken lightly and she knows her way around weapons. It’s going to take someone with a real reason to want to mess with her, and that person exists. Macau had a casino robbery years ago, most of the plotters escaped with the money, but their inside man (Simon Yam Tat-Wah) tried to turn on them, and she shot him. Only problem was, he wasn’t shot dead, and now he’s back and very angry. Mrs K herself is first harassed by a nosy ex-cop who managed to track her down, but she turns the tables on his attempts at blackmail. What he did end up doing is lead Simon Yam’s character right to her. One quick sequence later, and her daughter is kidnapped, her husband is in the hospital, and Mrs. K is desperate to get her back, woe to anyone who gets in her way. Mrs K doesn’t do the straight-forward female lead driven action, part of the running time is devoted to her daughter’s attempts to escape from the villains (which she does often enough thanks to bumbling co-conspirators) and her husband’s attempts to recover enough to provide help. This keeps things from becoming Mrs. K running through a gauntlet of goons, but also seems to make the film lose focus. Mrs. K had such a good introductory scene we just want more of her and less of anyone else. Mrs K is best when it is throwing us into the thick of some rough action sequences, and there isn’t enough of them for my taste, but what we do get works and works well. The action scenes are the meat, and they deliver with some nice desperate fighting between aging heroes and villains, at times you can see on her face that Mrs K knows that some of the jumps and falls are going to be painful but must endure them to save her daughter. Characters get hurt, and their being hurt follows them throughout the movie. They are getting old and tired, but continue to fight because they must, to save their family or to enact their revenge. 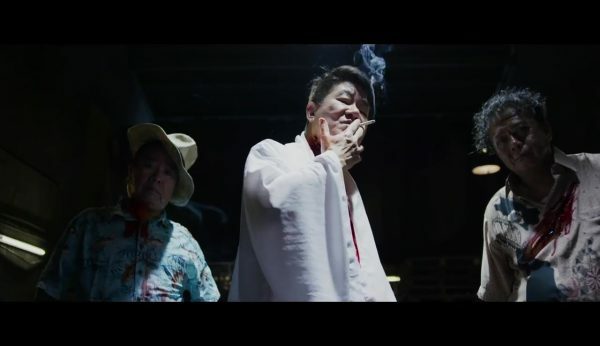 Director Ho Yuhang is obviously a fan of Quentin Tarantino, beyond the film superficially resembling Kill Bill, it is peppered with soundtracks from Westerns. There are some nice shots such as a POV while a head is in a vice or the silhouetted killer standing off in the distance, but Ho doesn’t get too creative with shots and that ends up making the better ones stand out more than they should. The opening sequence where the fellow co-conspirators are all slaughtered is and interesting introduction, but at that point we are to confused as to who the people are and why we would care. Oddly enough, the characters are more developed in death when they appear to Mrs K as an hallucination. 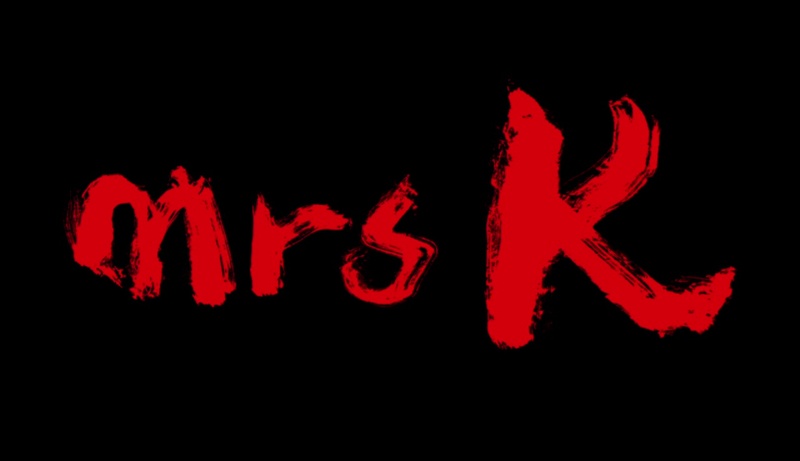 Fans of Hong Kong style action will enjoy Mrs K, but if you are looking for something greater, you should probably keep looking.